Loctite 278 High Strength, high temperature Threadlocker. 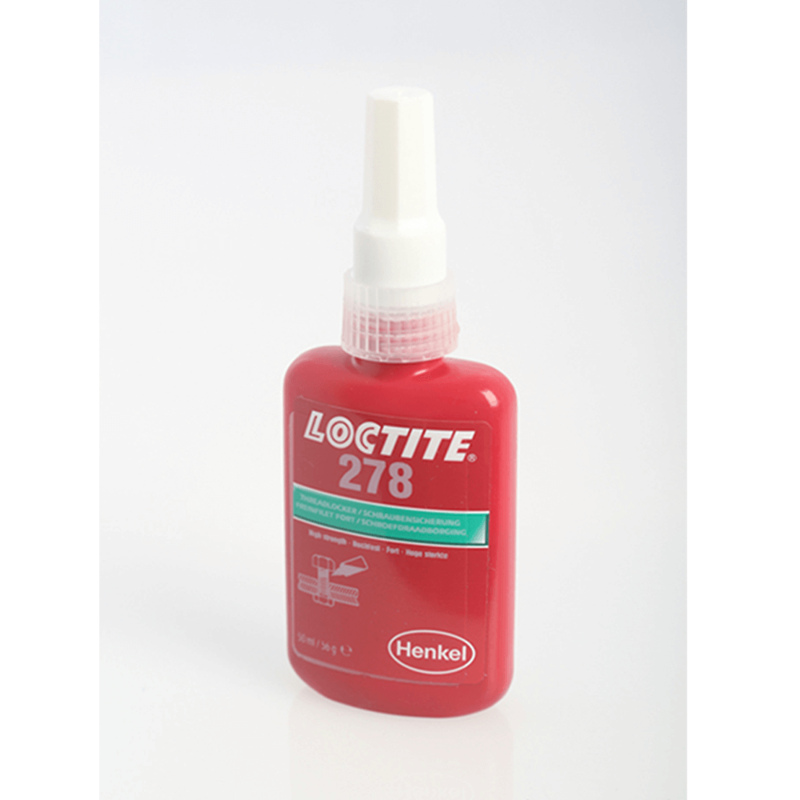 Loctite 278 is designed for the permanent locking and sealing of threaded fasteners. The product cures when confined in the absence of air between close fitting metal surfaces and prevents loosening and leakage from shock and vibration. Particularly suitable for applications on less active substrates such as coated or plated surfaces, and/or for applications where temperature resistance is required.